Every part of your premises will be monitored with efficient CCTV systems either via covert surveillance equipment, or with highly visible cameras to deter could be trouble makers. Systems optimise and minimise the use of manpower and are available in analogue or digital form. The system can be linked to cash register points and access control amongst other devices. The option of 24-hour room monitoring is available and a demonstration can be arranged. 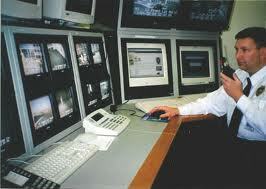 CCTV can be taken Off-site, intelligently linked with remote monitoring systems. Allowing for a greater degree of control in warning a client of potential attackers and taking a proactive approach in preventing crime.